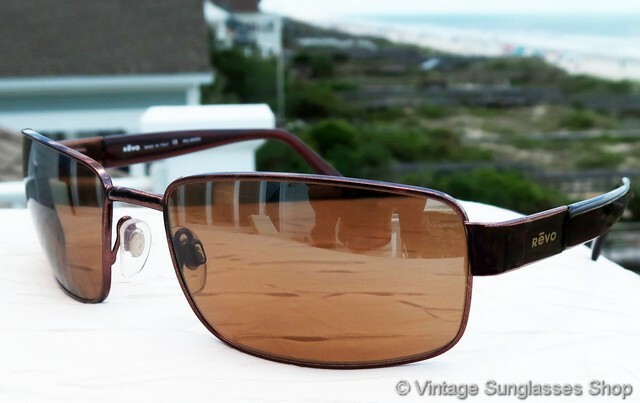 Vintage Revo 3043 093 K2 sunglasses feature a gleaming copper frame and top of the line Revo brown H20 top gradient mirror polarized lenses that are a perfect complement to the copper frame. 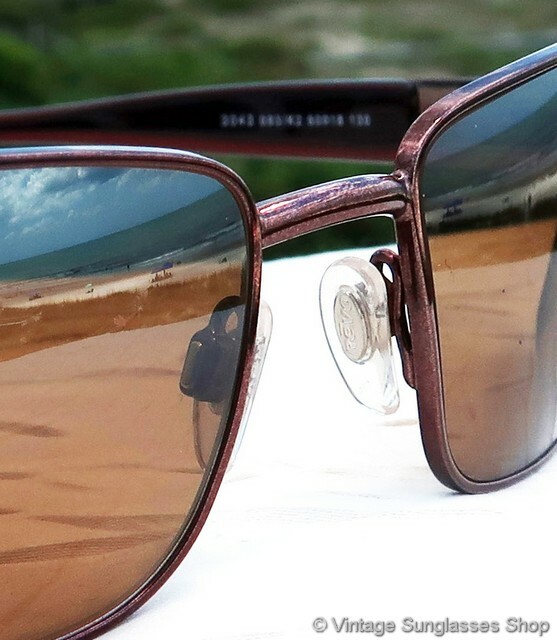 You'll love the flash mirror coating applied to the front of these lenses, but even more you'll appreciate the blue anti-reflection coating applied to the rear. 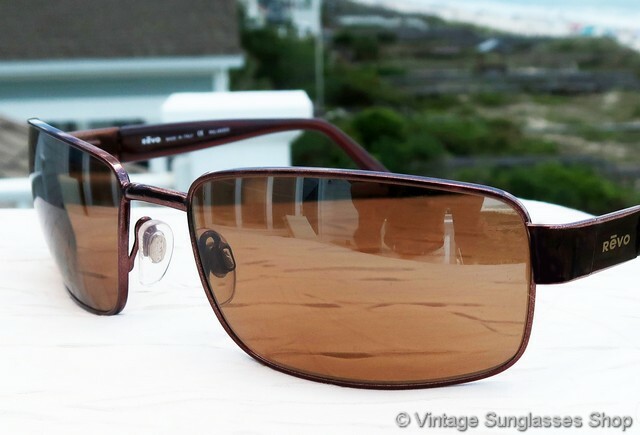 The combination of the 2 techniques along with the Revo H20 polarization makes the Revo 3043 093 K2 a stylish and optically outstanding choice in a pair of vintage sunglasses. 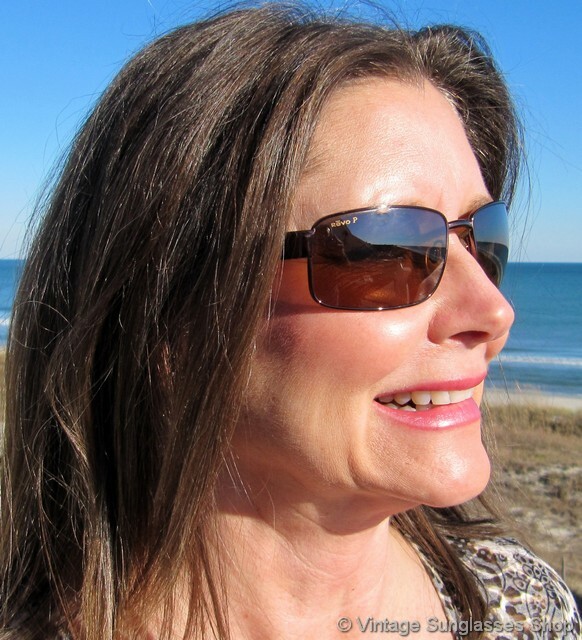 The unisex Revo 3043 frame measures approximately 5.375" temple to temple, and the lenses measure approximately 2.25" x 1.375" at the widest points with the right lens laser etched Revo P and left lens laser etched H20 to indicate Revo's advanced optical polarization. 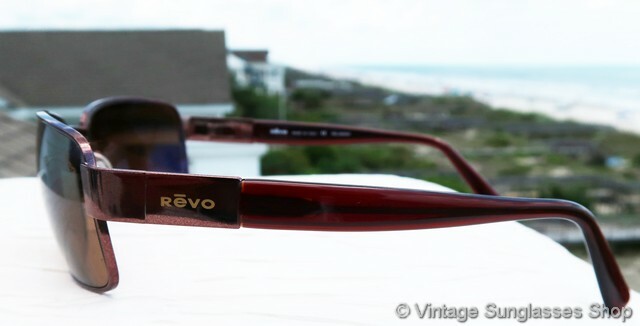 You'll find the Revo logo embossed on the exterior of both ear stems, and the inside of one stem is marked Revo Made in Italy CE Polarized while the inside of the other stem is marked 3043 093/K2 59  18 130. 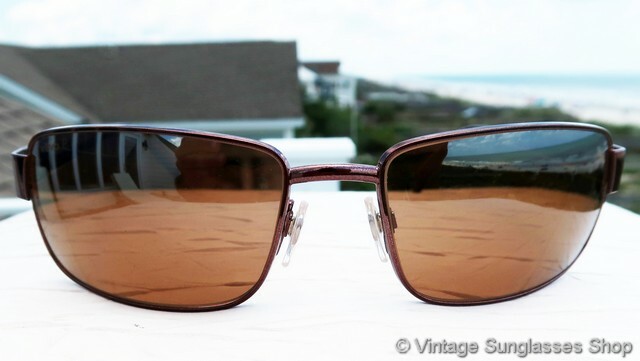 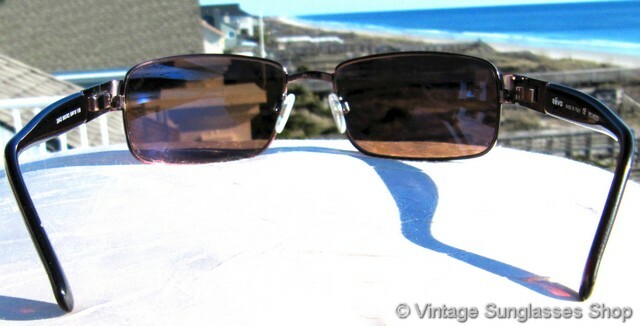 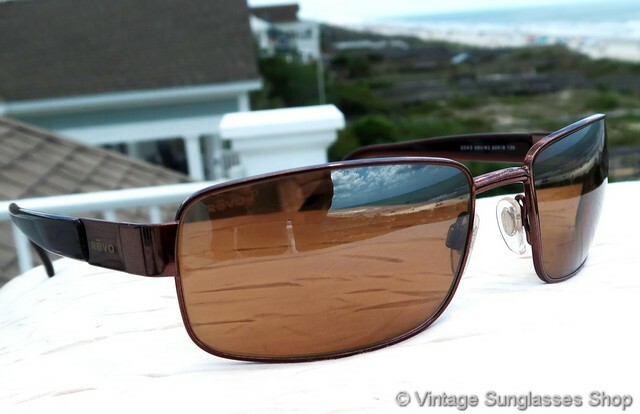 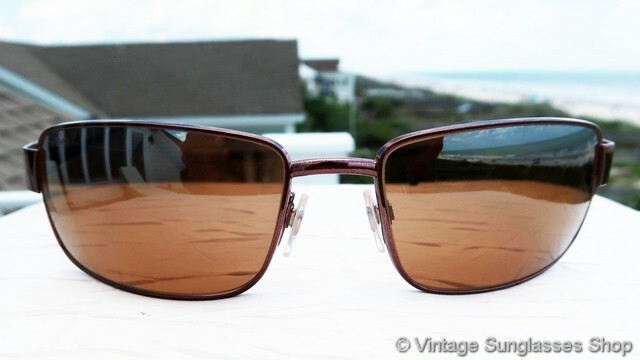 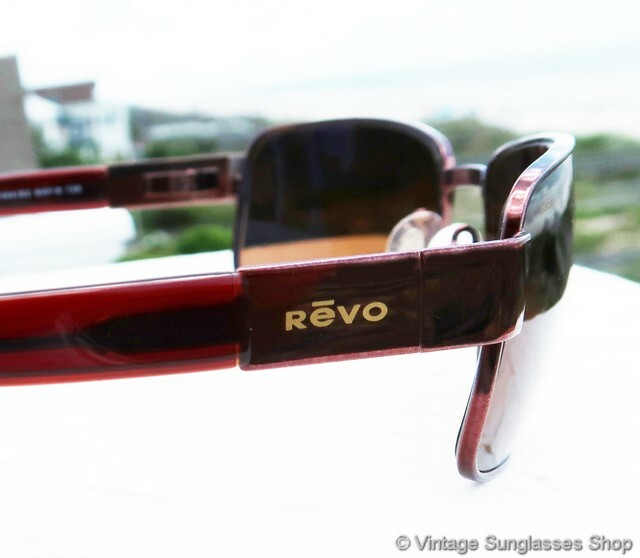 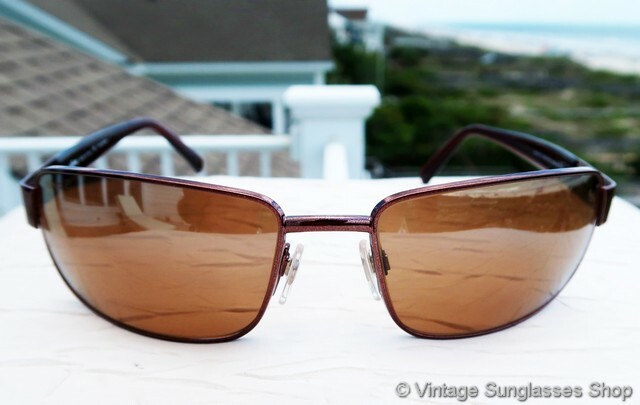 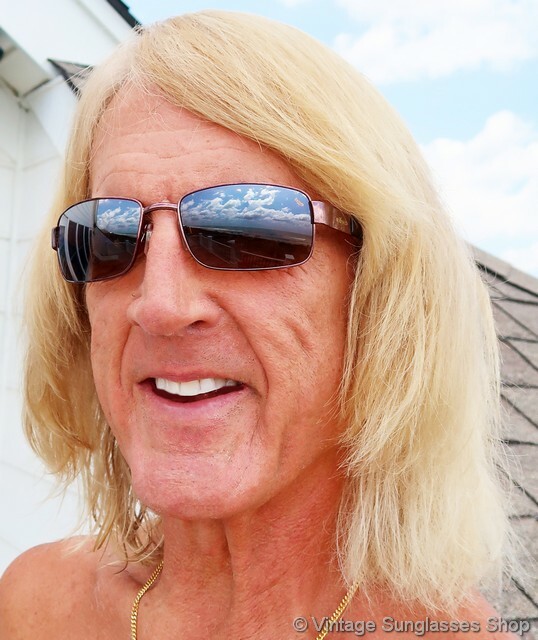 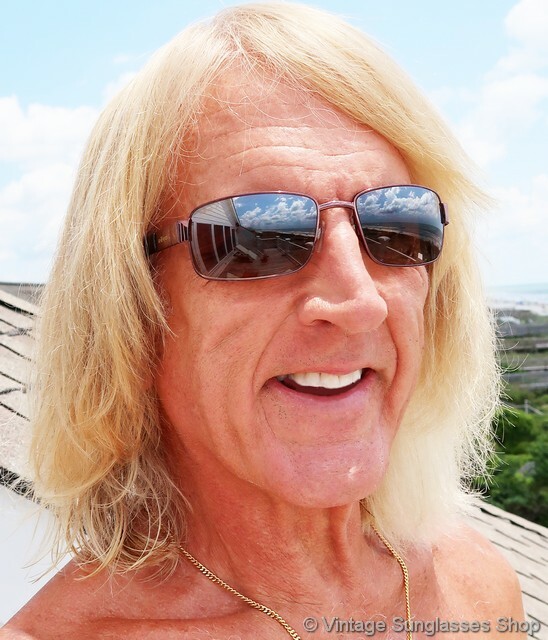 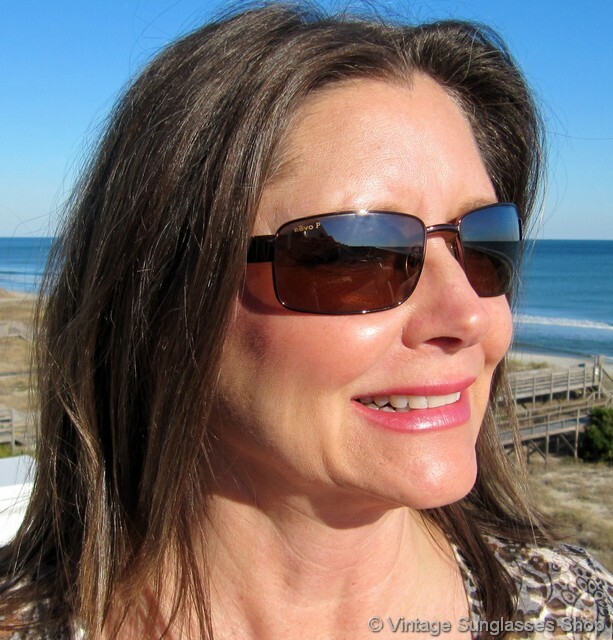 See our entire selection of vintage Revo sunglasses in our Revo sunglasses photo gallery, and thanks for visiting and shopping at the Vintage Sunglasses Shop!